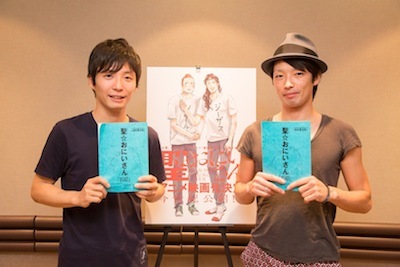 The voice acting roles for Jesus and Buddha in the film adaptation of Hikaru Nakamura’s comedy manga Saint Young Men have been cast. Newcomers to the anime genre, Mirai Moriyama (Crying Out Love in the Center of the World) and Gen Hoshino (Akihabara@Deep) will voice the characters of Jesus and Buddha respectively. The story centres around these two religious figures, who share a low-rent apartment in Tokyo’s Tachikawa neighbourhood. Noriko Takao (Full Metal Panic!) will be directing the film at A-1 Pictures with a script produced by Rika Nezu (Kimi ni Todoke: The Movie). Animator Naoyuki Asano (last 4 Doraemon films) will be handling the character design. The film will be released in Japan next spring; although, an OVA will be released on DVD bundled with the manga’s eighth volume on 3 December.